Repeating its accusations against Tehran's nuclear program, Israel says sanctions cannot stop a determined Iran from pursuing its nuclear goals. "They're determined to get nuclear military capability. 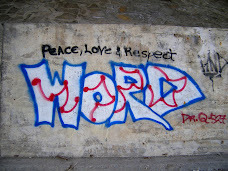 We see it," Israeli Defense Minister Ehud Barak said on MSNBC's "Morning Joe" program on Friday, AFP reported. "I don't believe that sanctions will work," he told the US-based cable news channel. Barak said Israel agreed in essence with the sanctions and that Tel Aviv still believed it was time for sanctions to see whether they worked, but said the measure was not enough. 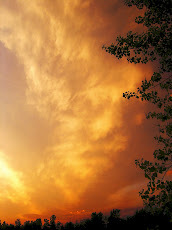 "We have to realize, we cannot wink in front of tough realities, however tough they might be." The UN Security Council approved a fourth set of sanctions on Iran in June -- a slap in the face of the Islamic republic's confidence building efforts and a tripartite nuclear swap declaration it signed with Brazil and Turkey in May. Israel played an active role in helping the United States to persuade the Security Council's veto-holding members to endorse the US-drafted sanction resolution against Iran. Barak renewed Tel Aviv's call for a military action against Tehran. "We say all the way there should be extremely effective sanctions. If they don't work, we recommended our friends always not to remove any option from the table. 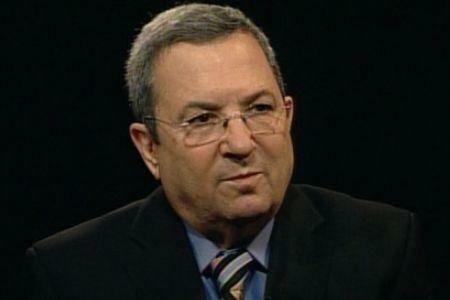 We do the same for ourselves," Barak stressed. Remarks by Israeli leaders against Iran's nuclear program come while Tel Aviv is known to possess the Middle East's sole nuclear arsenal -- estimated to include 300-400 nuclear warheads. Tel Aviv has maintained a policy of ambiguity on its nuclear stockpile with the assistance of the US. The United Nations Human Rights Committee has told Israel to end the blockade of the Gaza Strip and to take action about its human rights violations. On Friday, the committee also told Israel to end extra-judicial executions of terrorist suspects, make torture illegal, end construction of settlements in the occupied territories, stop building a wall cutting off some of the territories from other regions, and stop destroying homes as a collective punishment, Reuters reported. The 18 experts of the UN Human Rights Committee said they are also worried about Israeli restrictions on the movement of Palestinians in East al-Quds (Jerusalem). The panel of experts stated that since 2003, the Israeli armed forces have targeted and executed 184 individuals in the Gaza Strip, despite a Supreme Court ruling in 2006 imposing safeguards. 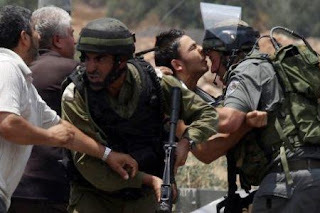 The UNHRC also told Israel to ensure that Palestinians in the occupied territories can enjoy the fundamental civil and political freedoms that are enumerated in the International Covenant on Civil and Political Rights. Israel is a signatory to the international human rights treaty but maintains that the covenant does not apply to the occupied West Bank and Gaza, although it says that the treaty does apply to Jewish settlers there, committee member Christine Chanet said. The panel dismissed Israeli assertions that the covenant — a multilateral treaty ratified by 166 nations in force since 1976 — did not apply in areas under occupation or during armed conflict, saying its government must ensure "full application." The committee also called for a halt to restrictions on Palestinians and raised concerns about discrimination. "The State party should ensure that all alleged cases of torture, cruel, inhuman or degrading treatment and disproportionate use of force by law enforcement officials, including the police, the personnel of the security service and the armed forces, are thoroughly and promptly investigated by an authority, independent of any of these organs," the committee said. The panel also questioned the fact that Tel Aviv is conducting its own inquiry into a commando attack on a Gaza-bound aid ship that killed nine Turkish activists and injured about 50 people on May 31. They say that all decision makers responsible for the attack — whether military or civilian officials — should be prosecuted. The US economic recovery has lost momentum as growth slowed dramatically to a 2.4 percent annual rate in the second quarter, the US Commerce Department announced. 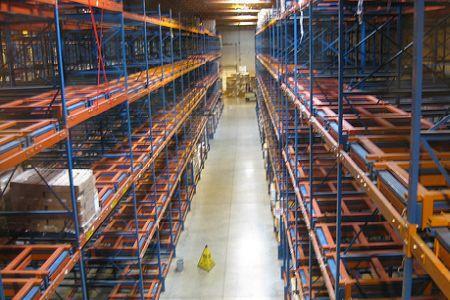 The gross domestic product growth for the April-to-June quarter reflects a larger trade deficit and more unemployment compared to the first quarter, when the figure was revised to 3.7 percent, according to a US Commerce Department report issued on Friday. In a separate report, the Commerce Department said that the recession was deeper than previously estimated and the recovery has been losing power for two straight quarters. There are growing fears about the US economic recovery, particularly concerning the country's high unemployment rate of 9.5 percent. A bleak conclusion of analysts suggests the US economic recovery is so slow that employers' unwillingness to hire workforce could bring the unemployment rate back to double digits. Meanwhile, the International Monetary Fund has urged the US to take more decisive action to achieve stable growth that limits risks of adverse international spillovers. The IMF also says the US unemployment rate will likely remain over 9.5 percent in 2011. The Congress is under pressure to pass more stimulus measures to speed the recovery. Republicans and some Democrats, however, have blocked additional spending because of their concerns about the size of the deficit. US President Barack Obama has clashed with Republicans over the need for government to help the ailing economy, making spending one of the most fiercely fought political battles in the US capital. Obama's critics accuse the president of putting the future of citizens at risk by causing US debt to balloon through ineffective stimulus spending. A congressionally mandated defense panel in the US says the Pentagon should increase the number of people serving in the navy to deal with rising Asian powers. The statement came in a report headed by former White House National Security Adviser Stephen Hadley and former Defense Secretary William Perry on Thursday, urging the expansion of US naval power in Asia from its current fleet of 282 ships to 346 ships, the Washington Times reported. 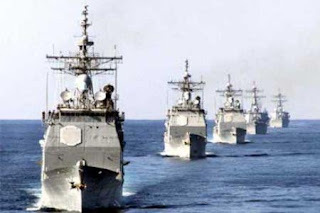 The independent panel has also called for the US military to confront "the rise of new global great powers in Asia," adding that it must prepare for the "continued struggle for power in the Persian Gulf and the greater Middle East." "In order to preserve US interests, the United States will need to retain the ability to transit freely the areas of the Western Pacific for security and economic reasons," the Washington Times quoted the panel as saying. 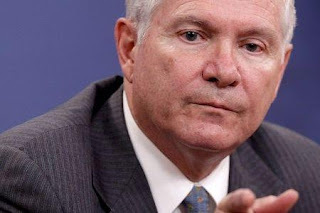 The recommendation for a bigger navy goes against the policies of Defense Secretary Robert Gates, however, who maintains that US naval forces are currently unrivaled. After reviewing the Pentagon's Quadrennial Defense Review strategy, the panel has also recommended that the US merge its military, intelligence and foreign assistance spending budgets. 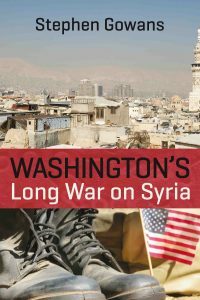 According to the panel, the latest QDR is a "wartime" review, which "continues the trend of the last 15 years," and is prepared by a department that is focused "understandably and appropriately on responding to the threats America now faces and winning the wars in which the US is now engaged." Chinese companies have invested around $40 billion in different upstream and downstream projects in Iran's oil and gas sector, an Iranian oil official says. "Chinese companies have invested about $29 billion in Iran's upstream oil and gas sector and another $10 billion in the country's downstream energy sector, including gas, petrochemical and refinery construction projects," Iran's Deputy Oil Minister in International Affairs Hossein noghrehkar Shirazi said in an interview with Mehr news agency. He added that the two countries are to start a new round of talks on developing bilateral oil trade and exchange. Another Iranian Deputy Oil Minister Alireza Zeighami said earlier in July that Chinese companies have offered to finance some of the country's oil refinery development and gasoline production projects. "Chinese companies are currently involved in building the Arak oil refinery; we intend to expand our cooperation with different Chinese firms for other oil refinery projects in Iran," Zeighami said. Chinese companies are expanding their presence in Iran's oil refinery sector. Last year, Chinese refiner Sinopec signed a memorandum of understanding with the National Iranian Oil Refining and Distribution Company to invest $6.5 billion for building oil refineries in Iran. 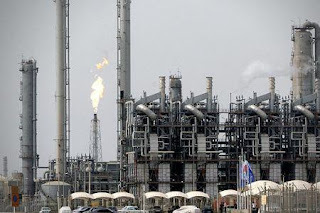 Iran, the world's fifth-largest oil producer, plans to build seven new refineries with a total investment of $23 billion. A US official said Thursday that Washington is worried that Iran continues to attract investment from China despite a new round of UN Security Council sanctions imposed on Tehran. Chinese companies were "aggressive" in investing in Iran's oil and gas fields, Joseph Christoff, head of the Government Accountability Office's international affairs and trade department, told the House Oversight and Government Reform Committee. Christoff said international and unilateral sanctions were "not changing their (the Chinese) behavior" toward Iran. Addressing the same panel, another official said that the US will press China to abide by international sanctions on Iran. "China is of concern to us," AFP quoted Robert Einhorn, special adviser for nonproliferation and arms control at the State Department, as saying on Thursday. "We need for them to enforce the Security Council resolution," he said. 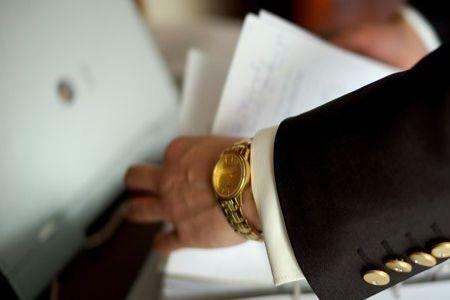 US regulators have shut five more banks over mounting loan defaults and economic recession, bringing the total number of failed US banks this year to 108. 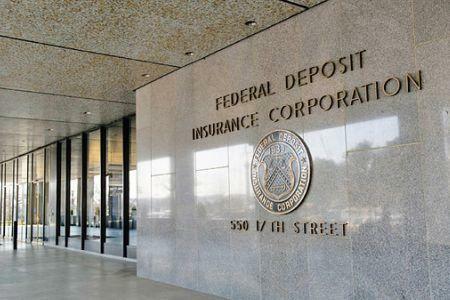 The Federal Deposit Insurance Corporation (FDIC) authorities closed Bayside Savings Bank and Coastal Community Bank in Florida, NorthWest Bank and Trust in Georgia, LibertyBank in Oregon and Cowlitz Bank in Washington on Friday in a bid to deal with the finicial problems facing the country, US media reported on Friday. 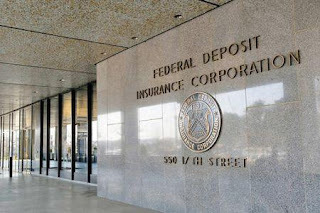 The FDIC took over the banks with assets worth a combined sum of 1.9 billion dollars. 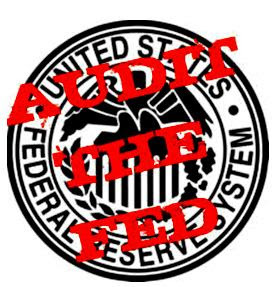 The five failures are expected to cost the regulatory body over 300 million dollars. Florida and Georgia are amongst the states with the highest number of bank closures in the wake of the US property market collapse that entailed the so-called toxic assets from mortgage loans. Bank failures have been accelerating so far this year with 108 closures nationwide and it is anticipated to peak in 2010. The pace has sped up as banks' losses mount on loans made for commercial property and development, a report in The Associated Press indicates. Many companies have shut down in the recession, vacating shopping malls and office buildings financed by the loans which have led to delinquent loan payments and defaults by commercial developers. The Islamic Republic could reconsider its economic ties with the European Union in response to EU's unilateral sanctions against Iran's nuclear work, a senior Iranian MP says. 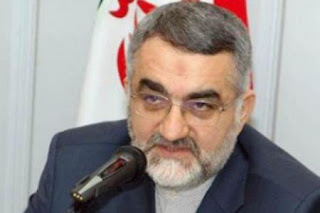 “The European Union will receive an appropriate response [from Iran] should it put into practice [new] sanctions against the Iranian nation,” Head of the Majlis National Security and Foreign Policy Commission Alaeddin Boroujerdi told IRNA Saturday. The European Union on July 26 adopted new sanctions against Iran, which mainly target the country's financial and energy sectors. 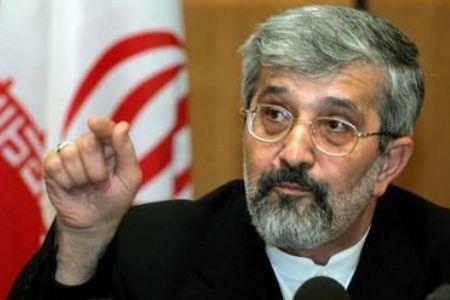 Boroujerdi further pointed out that Iran reserved the right to retaliate against sanctions from any country, warning that Tehran would cut trade with the EU in response. The senior lawmaker also added that it was the EU that would suffer most from sanctions since Iran's multi-billion-dollar trade relations with European Union member states had created jobs for many European countries. The European Union, with 27 member nations, is Iran's first trading partner. Close to 90% of EU imports from Iran are energy related. EU exports to Iran in 2009 were mainly machinery and transport equipment, manufactured goods and chemicals. The EU new sanctions come in addition to the fourth round of UN Security Council resolutions against Tehran over its nuclear work. Iran says any sanctions against its nuclear work are legally baseless as its nuclear work is being monitored by the International Atomic Energy Agency and carried out within the frame work of the Nuclear Non-proliferation Treaty. Italian Premier Silvio Berlusconi has lost his parliamentary majority after 33 lawmakers abandoned his ruling People of Freedom Party, reports say. 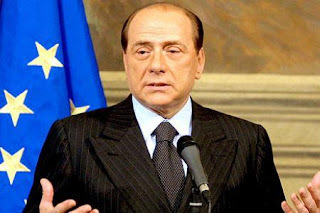 The lawmakers say they now support Berlusconi's former ally, Gianfranco Fini, who had also split from the ruling party. The defection comes as Berlusconi expelled his long-time ally on Thursday on the grounds of having “an attitude of permanent opposition to us (The People of Freedom Party) in harmony with the left,” The Irish Times quoted. Supporters of Gianfranco Fini left the ruling party to set up a new group, making the number of MPs in The People of Freedom Party just above 300, The Guardian reported. That number falls short of the 316 needed to make a majority. The new party says it plans to stand up for public ethics. The abandonment, which has left Berlusconi and his center-right coalition government ineffective, could raise the possibility of early elections. The recent desertions come as a serious blow to the Italian prime minister, who has been subject to heavy condemnation in the wake of accusations of corruption. The Iranian ambassador to the International Atomic Energy Agency (IAEA) says the Vienna Group has not yet responded to Iran's announcement that it is ready for unconditional talks on a nuclear fuel swap. Ali-Asghar Soltanieh said he had announced Iran's preparedness for unconditional negotiations in a meeting with IAEA chief Yukiya Amano, reported Fars News Agency. "We are now waiting for the other side to announce its response to the IAEA director general" Soltanieh added. He reiterated that the Vienna Group (comprising the US, Russia, France and the IAEA) has not yet responded to the director of the UN nuclear watchdog on whether or not they will take part in the talks on supplying fuel to the Tehran nuclear research reactor and, if so, when the negotiations should be held. He underlined the talks will be another test for the Vienna Group to show its goodwill and political determination to forge ahead with 'this humanitarian project' in keeping with the IAEA regulations. 'Sanctions have had no bearing on Iran's peaceful nuclear activities and have only harmed cooperation within the IAEA' said the top Iranian diplomat. Soltanieh underscored the talks will also be another opportunity for the Vienna Group to drop its policy of confrontation and sanctions, and return to the 'path of cooperation. The White House is trying to make it easier for the FBI to ask companies for records of an individual's internet activities without a court order. President Barack Obama's administration has asked the US Congress to amend the statute, the Electronic Communications Privacy Act, in the fiscal year that begins in October. According to the Washington Post, the Obama administration wants to add "electronic communication transactional records" to a list of items that the law says the Federal Bureau of Investigation (FBI) may demand without a judge's approval. "Electronic communication transactional records" include information like the addresses to which an internet user sends e-mails; the times and dates e-mails were sent and received; and possibly a user's browser history. Obtaining such records now requires a court order. But once the law is amended, only a national security letter (NSL) can authorize the FBI agents to compel internet service providers to turn over an individual's electronic records if they believe the information is relevant to a terrorism or intelligence investigation. "Our biggest concern is that an expanded NSL power might be used to obtain internet search queries and web histories detailing every website visited and every file downloaded," the Washington Post quoted Kevin Bankston, a senior staff attorney with the Electronic Frontier Foundation, as saying. The move is considered by critics as another example of the Obama administration retreating from campaign pledges to enhance civil liberties in relation to national security. US authorities and senior Israeli officials have held a meeting in Washington to discuss Iran and the latest sanctions imposed against the Islamic Republic, a US official says. "As a matter of fact, this afternoon we have a meeting with the senior Israeli team to talk about Iran and to talk about sanctions," AFP reported Robert Einhorn, a US State Department adviser, as saying on Thursday. The diplomat did not divulge further information on the nature of the talks or the identity of the Israeli team members due to attend the White House meeting. However, he hinted at the intelligence work involved and said that the Israelis "are an important source of information. We cooperate on intelligence matters with lots of friendly countries around the world, but Israeli intelligence is particularly good." Meanwhile, White House officials have remained tightlipped about the theme of the talks and other administration officials only said it was a White House meeting. This comes amid revelations that US President Barack Obama has stepped up efforts to push other countries to enforce "tough" sanctions against Iran and to enact unilateral embargoes on the Islamic Republic in a bid to divest the country from pursuing its civilian nuclear program. The US has recently slapped unilateral economic sanctions on Iran and urged its Western allies to follow suit. The West has depicted Iran's nuclear enrichment program as a threat despite assurances of the International Atomic Energy Agency that Iran's nuclear program has no diversion from its peaceful path. The US defense secretary says the leak of secret documents on the war in Afghanistan could have "severe and dangerous" consequences for foreign troops. "The battlefield consequences of the release of these documents are potentially severe and dangerous for our troops, our allies and Afghan partners, and may well damage our relationships and reputation in that key part of the world," US Defense Secretary Robert Gates said on Thursday. He said the Pentagon "is conducting a thorough, aggressive investigation to determine how this leak occurred, to identify the person or persons responsible, and to assess the content of the information compromised," Gates told reporters at the Pentagon. Whistle-blower website Wikileaks has released over 90,000 classified records of military conduct in Afghanistan during the period 2004-09. The White House immediately lashed out at the website and it's founder, Julian Assange saying the top secret material contained in the documents could cause potential harm to US personnel and operatives in Afghanistan. The files also include the identity of Afghans, who have provided US forces with intelligence or have assisted the foreign forces. Official believe the lives of individuals who are named in the documents are at risk. Assange says his main objective in revealing the information to the public was to shed light on events involving the US-led invasion of Afghanistan. A new opinion poll has found that most Pakistanis view the United States as an enemy and are opposed to the US-led war in Afghanistan. The poll conducted by Pew Research Center suggests 65 percent of Pakistanis want US and NATO soldiers out of Afghanistan as soon as possible. The image of the US is the lowest among 22 nations included in the survey that was conducted on two thousand Pakistanis. 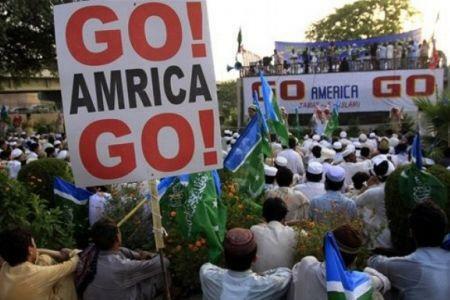 Despite billions of dollars Islamabad receives from Washington in economic and military aid, only eight percent trust US President Barack Obama -- the lowest rating of the 22-nation survey -- the study shows. The survey also shows that people in Pakistan are less concerned about the Taliban and al-Qaeda than in 2009. The poll shows that US drone strikes remain deeply unpopular among Pakistani people. The US army has extended the drone strikes in Pakistan during the last 18 months. 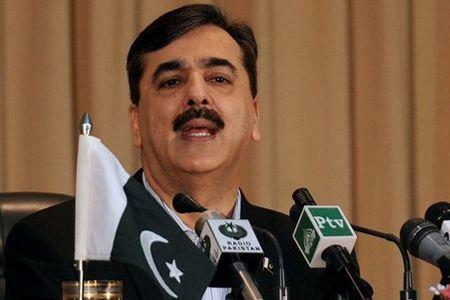 Pakistan's Prime Minister Yousuf Raza Gilani has dismissed remarks by his British counterpart that Islamabad is guilty of exporting terrorism. In an address to Pakistan's Senate on Thursday, Gilani noted that his government will take up the issue with Britain via diplomatic channels. He also sharply criticized David Cameron's remarks questioning Pakistan's sincerity in the war on terror, saying that US-led NATO forces could not bring peace in Afghanistan. The prime minister pointed out that the sacrifices of Pakistani armed forces personnel in war-battered Afghanistan are much greater than those of the multinational force. "They should assist for capacity building of our law enforcement agencies. 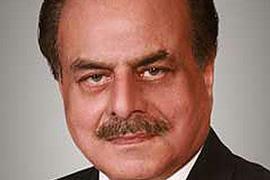 Such a criticism would cast negative impact on war on terror," Gilani said. Cameron risked provoking a diplomatic row with Pakistan on Wednesday when he came close to accusing Islamabad of exporting terrorism. “We should be very, very clear with Pakistan that we want to see a strong, stable and democratic Pakistan," Cameron said. “We cannot tolerate in any sense the idea that this country is allowed to look both ways and is able, in any way, to promote the export of terror, whether to India or to Afghanistan or anywhere else in the world," Cameron said in a speech to Indian business leaders in Bangalore, India. In the past, Britain had warned against the threat of terrorism that emanates from Pakistan. Former British Prime Minister Gordon Brown once said that the bulk of the threat of terrorism to Britain came out of Pakistan's restive tribal regions near the Afghan border. Washington is worried that Iran continues to attract investment from China despite a new round of UN Security Council sanctions imposed on Tehran, a US official says. 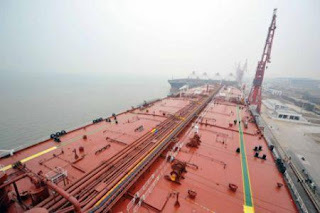 Chinese companies were "aggressive" in investing in Iran's oil and gas fields, Joseph Christoff, head of the Government Accountability Office's international affairs and trade department, told the House Oversight and Government Reform Committee on Thursday. Christoff says international and unilateral sanctions were "not changing their (the Chinese) behavior" toward Iran. Beijing should not "backfill" by doing business with Tehran while other countries are "distancing themselves from Iran," Einhorn said. The US and its Western allies accuse Iran of seeking a military nuclear program. Tehran rejects the charges, stressing that as a signatory of the Nuclear Non-Proliferation Treaty it will not forgo its right to peaceful nuclear technology. The UN Security Council adopted a US-drafted sanctions resolution on June 9. Ever since the US, European Union, Australia, and Canada have adopted unilateral sanctions against Iran. 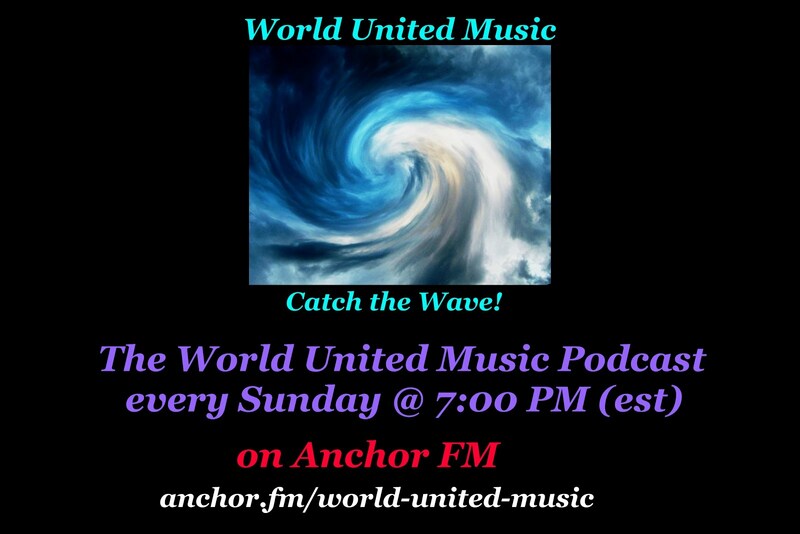 However, China and Russia, two permanent members of the UNSC, as well as many other countries say they would not abide by the unilateral sanctions. South American foreign ministers gather in Ecuador to discuss broken ties between Venezuela and Colombia and find a peaceful solution to the escalating diplomatic row. The meeting of the Union of South American Nations (UNASUR) is the first encounter between the two governments since Venezuela severed relations with Colombia last week. The crisis began after Bogota accused Caracas of serving as a rear base for Colombian rebels. The left-wing rebel groups have been fighting the Colombian authorities since the 1960s. 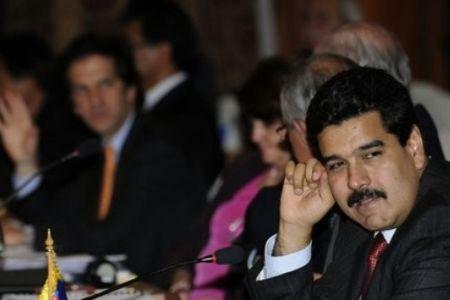 Venezuelan Foreign Minister Nicolas Maduro has expressed hope that the issue will be resolved peacefully. However, Colombia's Foreign Minister Jaime Bermudez has expressed doubts over reaching a solution at the UNASUR meeting. Maduro and Bermudez also traded accusations at the start of the meeting. Upon arrival in Quito, the Venezuelan foreign minister said that his country had asked the south American states to respond to the "grave threats and grave attacks" posed by Colombia, Reuters reported. Bermudez, on the other hand, once again accused Caracas of sheltering rebel groups including the Revolutionary Armed Forces of Colombia (FARC) and National Liberation Army (ELN). Brazil's President Luiz Inacio Lula da Silva has offered to mediate between the two sides. The United States should alter policy to take account of China's role as a major player on the world stage if it wants to avoid friction and instability, a major state newspaper said on Thursday. The commentary in ruling Communist Party mouthpiece the People's Daily followed the latest spat in Sino-U.S. ties, over what China views as unwarranted U.S. interference in a territorial dispute in the South China Sea. While senior officials, including U.S. President Barack Obama, say they welcome a prosperous, flourishing China, good words must be backed up by actions, the newspaper said. "If the United States cannot find a way of recognizing and accepting China's entrance on the world stage as a big player, relations will swerve up and down like a roller coaster," it said. "This instability in relations will have a negative effect not only on bilateral ties but on the world, and that is not something anyone wants to see." Obama started out well, it said, with his visit to China last year, but arguments over U.S. arms sales to Taiwan, Google Inc. and the value of the Chinese currency showed nothing has really changed in the United States. "On the issue of how to co-exist with a rapidly developing China, Washington has in fact not thought things through in a calm manner." It was wrong to think, as some experts in the United States believe, that China will be flexible on certain issues as relations between the two sides deepen, the commentary said, suggesting more discord to come. "On cardinal questions of right and wrong, China has flinched neither in the past nor the present, and will not do so in the future," the newspaper said. 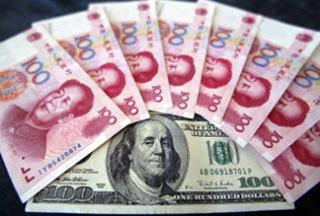 "It is impossible that when China's bottom line in reached there will not be a response. The state of Sino-U.S. relations directly impacts upon or even decides global peace and stability, especially in the Asia-Pacific region ... Future ties to a large degree hinge upon whether Washington can control its 'impulses'." China, it said, was simply pushing back in the same way as the United States. "'It is impolite not to reciprocate'," it added, quoting a classic Confucian text. "There is no lack of China experts in Washington who should fully understand the meaning of this." British Prime Minister David Cameron speaks in Bangalore, India. British Prime Minister David Cameron has asked Pakistan not to allow militants to use its territory as a base for attacks against its neighbors, especially India. Pakistan cannot be allowed to harbor militants and promote terror against India, Afghanistan, or elsewhere, Cameron said during a visit to the Infosys headquarters in Bangalore, India. He went on to say that US President Barack Obama was in agreement with him on Pakistan. "We want Pakistan to emerge as a strong, stable and democratic nation. We cannot tolerate in any sense the idea that this country is... able, in any way, to promote the export of terror," the Hindustan Times quoted him as saying. His remarks come only a few days after leaked US reports said Pakistan has secretly aided Taliban militants in Afghanistan. The leaked documents suggest that the ISI (Inter-Services Intelligence), one of Pakistan's two military intelligence agencies, was encouraging the Taliban as recently as last year. The Pentagon called the release of some 91,000 classified documents by the whistle-blowing website WikiLeaks a "criminal act." The reports also raised new doubts about key US ally Pakistan. The British prime minister launched the strongest British criticism yet of Pakistan, warning that the country could no longer "look both ways" by tolerating terrorism while demanding respect as a democracy. Angry responses followed from Pakistani officials in the UK and the Foreign Ministry in Islamabad. The row comes as Pakistani President Asif Ali Zardari prepares for a visit to Britain next week. He is due to stay at the prime minister's country retreat of Chequers. 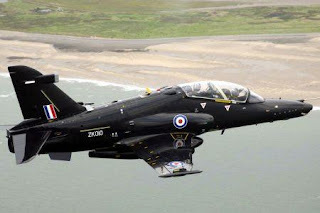 India and Britain have signed a $1.1 billion deal to supply the Indian Air Force and Navy 57 more Hawk Advanced Jet Trainer aircraft. David Cameron, on his first visit to India after becoming British prime minister in May, called for a new "enhanced relationship" between New Delhi and London. The deal was signed in Bangalore by Hindustan Aeronautics Limited (HAL) and British defense manufacturer BAE Systems for the supply of 57 Hawks for the Indian Air Force and the Indian Navy. BAE's Guy Griffiths said BAE will supply the design and also the equipment which will be assembled in India by HAL personnel over the course of the next three or four years. India had signed an earlier agreement to buy 66 Hawk Trainers in 2004. The first 24 of those aircraft were supplied directly, while the next 42 will be assembled in India, Griffiths stated. Cameron, who began his visit in the southern city of Bangalore, also visited the headquarters of the high-tech company Infosys in Bangalore. 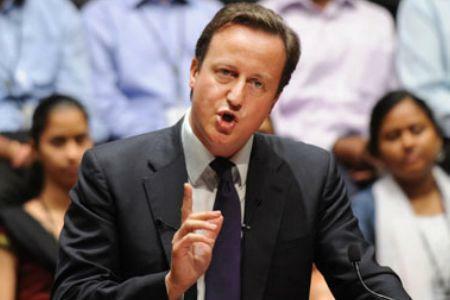 Cameron said his main mission is to make use of the business opportunities offered by the Indian economy. His center-right coalition government is keen on promoting economic and financial cooperation with India, which is one of the biggest defense markets in the world. Cameron brought six ministers and more than 30 senior executives from top UK firms with him to boost trade with Asia's third-largest economy. Earlier, Britain announced it was prepared to export its civilian nuclear technology to India, in line with the stances taken by the United States, Russia, and France. Later on Wednesday, Cameron arrived in the capital New Delhi, where he is expected to hold talks on Thursday with Prime Minister Manmohan Singh. The two leaders will sign a cultural agreement and seal a round of trade deals. Israel is aiding and abetting an exiled Arab sheikh in his efforts to stage a "coup" in the Persian Gulf emirate of Ras al-Khaimeh, which is part of the United Arab Emirates, a report says. 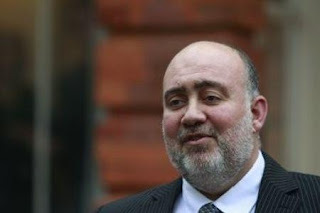 The Israeli ambassador to Britain, Ron Prosor, has met Sheikh Khalid bin Saqr al-Qasimi, the exiled crown prince of Ras al-Khaimeh, who asked the Israeli envoy to provide help for his campaign to seize control of the strategically important Persian Gulf emirate only 40 miles from Iran, The Guardian reported on Wednesday. The meeting took place in London in March and has been followed by phone calls and wider assistance and advice, according to records of the relationship seen by The Guardian. Khalid, who was sent into exile in 2003, is seeking to replace his ailing father Sheikh Saqr and half brother Sheikh Saud to take control of Ras al-Khaimeh. He claims that Ras al-Khaimeh has become a trafficking hub for "nuclear arms parts" to Iran and has spent over £4 million (over $6 million) on an international public relations and lobbying campaign to persuade US politicians and the pro-Israel lobby in the United States that it would be safer if he were in charge. The alliance with Israel is the latest twist in the already extraordinary saga of Khalid's bid to return to power, the report said. Sheikh Saqr is understood to be dying in hospital in Abu Dhabi and his son, Sheikh Saud, 54, the sitting crown prince, has been told to get prepared for his wake. OSK Lines shows the Japanese oil tanker M Star. An Iranian official says a Japanese oil tanker has been damaged in Oman's territorial waters in the Persian Gulf following an explosion. "The fire which was triggered by an explosion on the deck of the vessel was contained with the help of the crew and regional forces," Fars News Agency quoted head of marine department of southern Hormozgan Province, Ali Akbar Saffai, as saying on Wednesday. 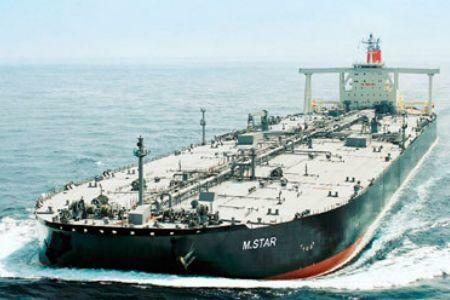 Stressing that the incident onboard the Japanese tanker, M Star, had taken place in Oman's trivial waters, Saffai said "the ship has left the region following coordination. He rejected earlier reports saying that the accident had occurred in the Strait of Hormuz. Japan's transport ministry has said the incident may have been an attack, noting that one crewmember had seen a flash in the horizon before the explosion. "Since one of the crew saw a flash on the horizon immediately before the blast, the company suspects it was highly likely an attack," the ministry said in a statement, AFP reported. Oman's coastguard has rejected the claim, saying there was no evidence of any attack on the tanker and instead cited a 3.2 magnitude earthquake in the Iranian port-city of Bandar Abbas as the source of a freak wave that hit the ship. The Vessel's operating company, Mitsui OSK Lines, says the ship has 31 crew members -- 16 Philippines and 15 Indian. The tanker was carrying 270,000 tons of crude oil but did not suffer a spill, Mitsui OSK Lines added. 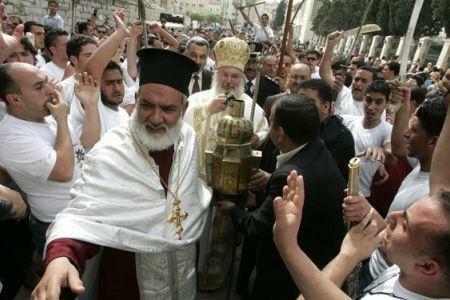 Christians holding a protest against Israel. A number of Christian organizations in France have called on the government to hold Israel accountable for its violation of Palestinians' rights. Five institutions including Secours Catholique, Cimade, Acat-France, Defap and les Amis de Sabeel-France wrote a letter to the French Prime Minister Francois Fillon on Wednesday, calling for action against Israeli crimes in Palestinian territories. The letter urged the "French government to act, to put an end to the impunity accorded to ... Israel as regards the violation of international law," AFP quoted the letter as saying. The move came after Palestinian Christians approached the organizations, asking for help against an Israeli military decree aimed at expulsion of thousand of Palestinians from the West Bank, the groups said. The only way for achieving a "just and fair" peace in the Middle East is observance of international laws by Israel, the letter went on to say. The Christian institutions also urged for the suspension of the European Union-Israel Association Agreement which constitutes legal grounds for relations between the European bloc and Tel Aviv. 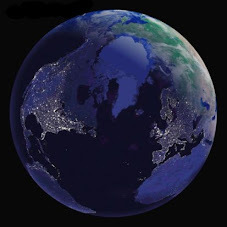 an economic ‎slowdown in the United States. The US economy is losing speed and may enter into a long phase of measured growth that falls short of removing job market worries, analysts warn. A monthly review released in the US on Tuesday shows unexpectedly weakened retail sales, new home construction, manufacturing and inventory building and exports, AFP reported. According to the recent data, the Consumer Confidence Index (CCI), which is considered as a key economic indicator, has dropped during July from 54.3 to 50.4. The latest CCI figure -- the worst in five months -- comes while Americans have been waiting in vain for a positive development in the job market and business conditions. "Labor markets remain in turmoil," said economist Jeffrey Rose of Briefing.com. Weekly jobless insurance claims "remain well above recovery levels and non-farm payroll growth has been disappointing" while unemployment remains near 10 percent, he added. Last week, Federal Reserve chief Ben Bernanke described the US economic outlook as "unusually uncertain," signaling a possible use of more extraordinary measures to save the economy from falling into a double-digit recession. The US Congress has approved an extra multi-billion dollar fund to pay for President Barack Obama's increase in US troop numbers in Afghanistan. The House of Representatives voted 308 to 114 in favor of the $60bn war-funding bill. The Senate had already passed the bill, which will now go to Obama to be signed into law. 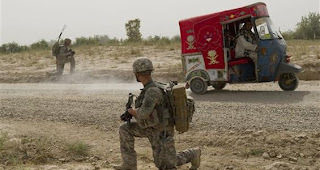 The package provides roughly $33.5 billion for the additional 30,000 more troops in Afghanistan and nearly $4 billion for other programs in Afghanistan and neighboring Pakistan. The bill also covers some expenses for military operations in the war-torn Iraq. The new money is in addition to about $130 billion the Congress already approved for the wars in Afghanistan and Iraq this year. 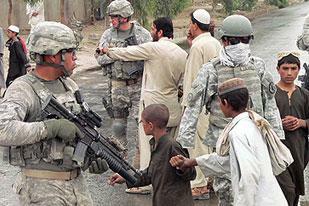 The US Congress has appropriated over $1 trillion for the two wars since 2001. The latest vote comes at a time when some lawmakers are growing skeptical about the nine-year-long war in Afghanistan. Interestingly, more Republicans supported the bill than Obama's fellow Democrats did. The recent leak of tens of thousands of secret military documents on the war in Afghanistan was the main reason behind the 102 Democratic votes against the bill. The files released by the whistle-blowing website Wikileaks detail how US-led forces have killed or wounded Afghan civilians in unreported attacks. The Islamic Hamas movement has condemned the Israeli regime for the demolition of tens of Palestinian houses in a Bedouin village in the Negev desert. More than 1,500 Israeli forces attacked al-Araqib village shortly before dawn on Tuesday. They bulldozed all houses and uprooted hundreds of olive trees belonging to the villagers, AFP quoted activists who tried to prevent the demolition. Israeli authorities claimed that the homes had been built without legal permits. In a statement released later on Tuesday, Hamas slammed the move, charging Israel with efforts to expel Palestinians, over baseless excuses, out of villages and places where they and their fathers have been living for years, IRNA reported. The movement also praised the villagers and activists who staged a "bare-hand resistance against the occupation forces and their bulldozers." 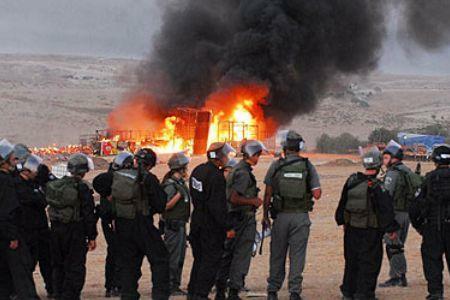 It further called on the Palestinians to stand up against Israeli plans to raze another 45 Palestinian homes in Negev. Hamas also urged the Arab League and the United Nations to fulfill their obligations concerning Israel's escalating violations against Palestinians. On July 21, Amnesty International reiterated its call on Israel to stop the demolition of Palestinian houses and other buildings in the West Bank. The international rights watchdog condemned Israel's "unacceptable" demolition policy and charged Tel Aviv with removing the Palestinian population from the West Bank through razing their homes. The Tuesday demolition displaced about 300 Bedouins -- desert-dwelling Arabs who have been living in the Negev desert for centuries. 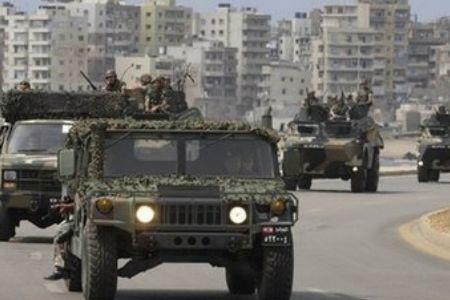 Lebanon to deploy troops to south? Lebanon has apparently started to increase its standing army in the south of the country after UN French forces' reported incitation of local outrage in the area. "The region…will be under the control of the 8th [Lebanese Army] Brigade, with more than 1,500 soldiers deployed on a permanent basis,” Beirut-based newspaper, The Daily Star reported on Tuesday, citing an unnamed official. “[Lebanese Prime Minister Saad] Hariri informed me about the deployment of a complete Brigade of the Lebanese Army in south Lebanon starting today,” French ambassador, Dennis Pietton said on Monday, the paper added. The troops would be combat ready by August and are expected to enhance coordination with the United Nations Interim Force in Lebanon (UNIFIL), which is on a mandate to patrol the southern parts of the country. Earlier in the month, the French forces enlisted with the UNIFIL arrested a local youth in a southern village, inciting clashes with the locals. They then took the captive to a nearby town, where they continued to anger the local residents by violating the civilians' privacy. The former UN weapons inspector questions the judgment of Britain and the US in their decision to invade Iraq despite lack of evidence regarding the country's possession of WMD. 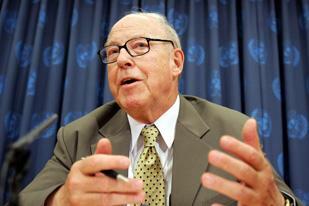 Hans Blix, the former executive chairman of the UN weapons inspection team in Iraq from March 2000 to June 2003, made the remarks on Tuesday while testifying at the independent Iraq Inquiry. Blix said that he had initially thought Iraq had weapons of mass destructions, but when none were found upon the inspections, he warned the US and Britain that it was unlikely Saddam Hussein had illegal weapons, Reuters reported. "What was really important was about this business of sites given, was that when we reported we did not find any WMD (weapons of mass destruction) they should have realized in Washington and London that their sources were poor," he added. "What I question was the good judgment, particularly in [former US President George W.] Bush but also in [former British Prime Minister Tony] Blair's judgment," he added. According to Blix, his concerns were ignored by Blair and former US Secretary of State Condoleezza Rice. The former UN weapons inspector said that his team wanted to continue inspections, "But the military timetable did not permit that." The WikiLeaks website supposedly carrying some 91,000 US military reports from Afghanistan makes for oddly mesmerising reading. Having only dedicated a few hours to the task, I can hardly claim even a cursory appreciation for what is there and what it represents. Like most of us, I am forced to rely to a large degree for now on the analyses provided by those media outlets which have had weeks to study and begin to digest the mass of documents. To this reader, however, there are a few initial impressions that emerge from a quick perusal. The first is that this supposedly blockbuster trove is, in fact, highly underwhelming. The vast majority of the reports are very cursory, almost shorthand accounts of discrete, small-scale incidents: An improvised-explosive-device (IED) attack here, a small-scale ambush there, a couple of rockets fired at a location to no apparent effect somewhere else. Many of the incidents are reported from other sources, and involve no US or coalition forces at all: Attacks on local officials or Afghan security forces, various kidnappings or, frequently, seemingly random and indiscriminate Afghan-on-Afghan attacks or bombings in which local civilians are the sole, and tragic, casualties. Of course, there are many other reports of actual combat involving US forces engaged in direct fire, calling in air support, and so forth. Even these, reported in military shorthand, are oddly bloodless, although the reality they describe may be anything but. For the most part, it is only in the aggregate that the beginnings of a coherent picture begin to emerge from these documents - a picture of an evolving war in which foreign forces shift from a posture involving isolated "Forward Operating Bases" to one in which they attempt to sweep insurgents from populated areas, all the while engaging with enigmatic, hard-to-identify enemies with seemingly obscure motives - and, yes, all too often with unintended consequences for Afghan civilians. In short, there seem to be very few real surprises in these documents, which are consistent with the common understanding of what this war is like. All that is unusual, in fact, is the ground-level perspective these documents relentlessly convey. Even the supposedly controversial revelations from secondary sources who have reviewed the WikiLeaks documents in detail - those involving double-dealing skullduggery by the Pakistani intelligence service, the ISI, or collusion of the Pakistani military with Afghan insurgents - in essence represent nothing new. Pakistani ISI bet-hedging contacts with Afghan insurgents and plotting against Indian interests are already well-known, while some of the more colourful stories, involving exploding Qurans or the alleged plotting of retired General Hamid Gul, the former director-general of the ISI, with Arabs from al-Qaeda are simply laughable: These are more of the ubiquitous rumours unendingly hatched by imaginative Afghans for credulous foreigners. The reflections in some reports of US frustrations with Pakistani military forces, whose inaction in the face of cross-border activities by Pakistan-based militants have often appeared to American eyes as passive collusion with the enemy, are genuine enough. But most frequently what appears as collusion is in fact simple refusal on the part of the Pakistanis to get involved in what vulnerable commanders see as someone else's fight. It is hard to disagree with the reported initial conclusion of the Pentagon that there is little real damage to US forces or to the coalition war effort represented in these leaked documents. One could perhaps draw from them certain conclusions about patterns of US response to attack, or military capabilities in certain sectors, but most such indications are so dated as not to be useful to an enemy. Indeed, while these documents are breathlessly referred to as "secret", the ones I viewed appeared to carry no classification at all, and in fact should more accurately have been classified as merely "confidential", or perhaps even "sensitive but unclassified". No doubt there are genuinely sensitive documents among those currently revealed by WikiLeaks - to say nothing of the reported 15,000 being "reviewed as part of a harm minimisation process" at the insistence of the WikiLeaks source. All in all, however, from available accounts - and political embarrassment with the Pakistanis aside - there seems to be very little in this material which would genuinely constitute "serious damage" to US national security - the definition of an appropriately-classified "secret" document. Indeed, the greatest potential harm arising from this massive leak, from this observer's perspective, is the further evidence it presents - if any were needed - of the US government's inability to keep a secret. Even if the harm seems generally marginal in this case, such indications of unreliability can only limit the willingness of potential sources of genuine information, in Afghanistan or anywhere else for that matter, to divulge sensitive information to US officials. It must also have a potentially chilling effect on US military report writers themselves, who now have reason to believe that they are in fact writing for a general, global audience. 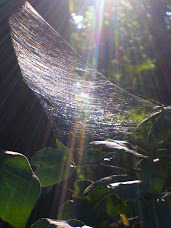 It cannot be a boost to greater clarity or candor for them to suppose that what they are writing is likely to come into the hands of those motivated to present such information in a tendentious and negative context. The US system is built upon checks and balances. Where potentially sensitive national security information in the US is concerned, however, it often seems that the only effective check on what is published is the judgment and discretion of the publishers themselves. 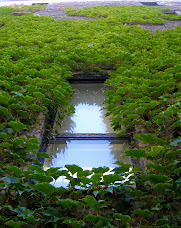 For that perhaps small subset of illegitimately revealed information which is of genuine national security concern and should remain secret, the US needs to devise an impartial system for determining what leaked information meets those criteria, and taking effective action in such cases against those who violate the public trust: That would be the leakers, and not the publishers. It would require another column to describe what such a system might look like, but something needs to be done. Hans Blix, the former head of UN weapons inspectors to Iraq, is to give evidence before a British public inquiry into the 2003 conflict. The Swedish diplomat, who previously called the invasion a "tragedy" and "spectacular failure", is expected to speak about his tense relationships with former US and UK leaders in the run up to the war. 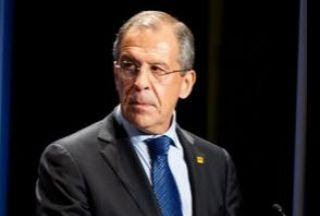 Russian Foreign Minister Sergei Lavrov has expressed strong disapproval of new EU sanctions against Iran's nuclear program. Russian Foreign Minister Sergei Lavrov said EU sanctions on Iran would hamper international efforts to resolve Tehran's disputed nuclear issue, Reuters reported. 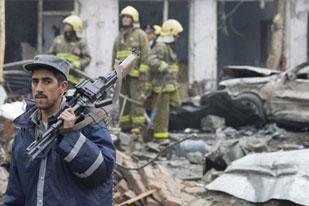 operation in the country," AFP quoted the Russian minister as saying in a statement released on Tuesday. The EU sanctions show "disregard for the carefully regulated and coordinated provisions of the UN Security Council," he continued. The European Union on Monday adopted new sanctions against Iran which mainly target investment and technical assistance to Iran's refining, liquefaction and natural gas sectors. Iranian officials have condemned the act, arguing that EU's anti-Iran sanctions were approved due to US pressure on the Western block. "Sanctions… will only complicate matters and move away [the parties] from mutual understanding," Iranian Foreign Ministry spokesman Ramin Mehmanparast was quoted by IRNA as saying on Monday. Israeli Defense Minister Ehud Barak has warned that Tel Aviv would strike directly at the Lebanese government, should violence break out the next time. In an interview with the Washington Post published Monday, the minister said, "if it happens that Hezbollah will shoot into Tel Aviv, we will not run after each…launcher of some rocket in all Lebanon. We'll see the government of Lebanon responsible." 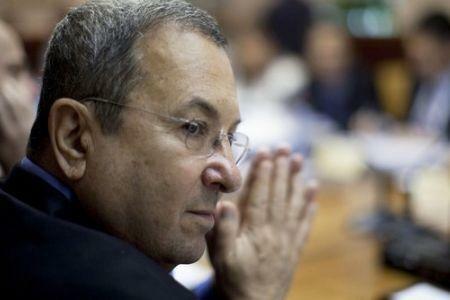 "We will see it as legitimate to hit any target that belongs to the Lebanese state, not just to Hezbollah," said Barak. Lebanon's Hezbollah resistance movement, however, has repeatedly dismissed the accusations that it fires rockets into Israel. The movement says such allegations are part of Israeli propaganda which aims to justify another invasion. The Israeli regime has launched two wars against Lebanon in 2000 and 2006. The second round of the all-out offensives killed about 1,200 Lebanese -- mostly civilians. However, Tel Aviv on both occasions fell short of achieving any of its objectives and Hezbollah forced the Israeli military into retreating. Tension between Lebanon and Israel has increased in recent months as Beirut arrested several people on suspicion of spying for Tel Aviv. 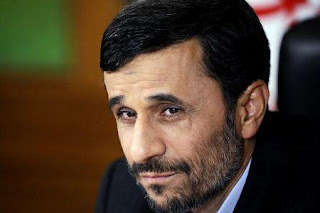 Iranian President Mahmoud Ahmadinejad says the United States and Israel plan to attack two countries in the Middle East as part of a conspiracy to apply pressure on Iran. "We have precise information that the Americans have devised a plot, according to which they seek to launch a psychological war on Iran," Ahmadinejad stated in an exclusive interview with Press TV on Monday. "They plan to attack at least two countries in the region within the next three months," he added. He said the US seeks to achieve two main objectives with the scheme. "First of all, they want to hamper Iran's progress and development since they are opposed to our growth, and secondly they want to save the Zionist regime because it has reached a dead-end and the Zionists believe they can be saved through a military confrontation," Ahmadinejad explained. He also advised US President Barack Obama not to follow the policies of George W. Bush. In addition, he warned Russian officials to avoid playing into the hands of Washington because that would go against their national interests. Commenting on the nuclear issue, Ahmadinejad said Iran will resume nuclear talks with the West in September, adding that Iran wants Turkey and Brazil to participate in the negotiations. Obama signing copies of "The Audacity of Hope"
A pro-Palestinian American group has reportedly initiated a humanitarian campaign to sail an aid vessel to the Israeli-blockaded Gaza Strip. The "US Boat to Gaza" has begun attracting funds for the purchase of the vessel, Israeli newspaper The Jerusalem Post wrote on Monday. The vessel, which could carry 40 to 60 crewmembers, is expected to depart in autumn with the ultimate aim of challenging the four-year-long Israeli siege on the Gaza Strip. The Israeli-imposed restrictions have deprived the 1.5-million Palestinian residents of the impoverished coastal sliver of food, fuel and other necessities. "...together we will contribute to the great effort to end the blockade of Gaza and the illegal occupation of Palestine", the organizers have said on their website. 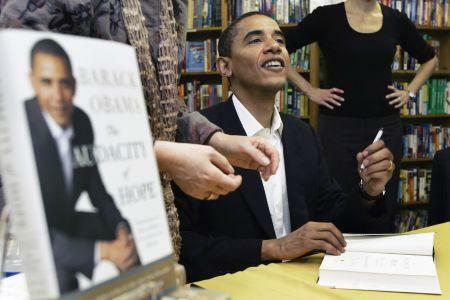 The boat is reportedly to be named as "The Audacity of Hope," synonymous with President Barack Obama's popular book. A friend of the president and the director of the Middle East Institute at Columbia University's School of International and Public Affairs, Professor Rashid Khalidi, is reportedly advocating the effort. "If the name is a problem for the administration, it can simply insist publicly that Israel lift the siege: end of problem, end of embarrassment," Khalidi said. "That of course would require it to respond to the systematic mendacity of those in Congress and elsewhere who support the siege, and indeed whatever else the Israeli government does." Preparations for the relief effort are underway amid continued international condemnation of the Israeli commandos' May 31 attack on the Gaza-bound Freedom Flotilla aid mission. The assault in international waters killed nine Turkish activists. The bid is also supported by Cindy and Craig Corrie, the parents of the famous US peace activist, Rachel Corrie, who was crushed to death by an Israeli army bulldozer in 2003 as she was trying to prevent it from razing a Palestinian home. Israeli forces seized an aid vessel with the same name last month while it was on a mission to break the blockade. 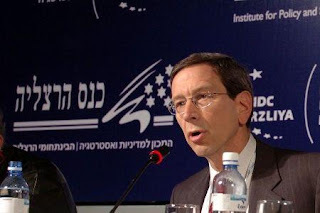 "Given the national-religious hierarchy which determines what the (Israel Defense Forces) IDF can do to whom, the fact that the ship is American will make it harder to deal with it as the Mavi Marmara was dealt with," Khalidi stressed, referring to the Turkish flotilla on which the May bloodshed took place. A former head of Pakistan's intelligence service has denied claims contained in leaked US military documents that he provided weapons and support to the Taliban. General Hamid Gul's name appears in eight separate intelligence reports that were posted on the Wikileaks website on Monday as part of the biggest military leak in history. Gul told Al Jazeera that the charges were a "pack of lies" aimed at implicating Pakistan in violence in Afghanistan. "I have no involvement whatsoever," he said. 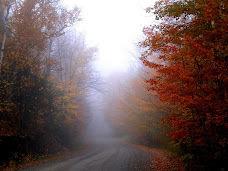 "I'm not involved because I have no means and no wherewithal. This is absolutely, utterly wrong." The leaked documents show that US officers gathered intelligence suggesting that Gul ordered suicide and roadside bomb attacks on Nato troops, and met with senior Taliban officials to plan operations against international forces. If true, the documents would confirm what the Afghan government has maintained; that senior Pakistani intelligence figures are involved in arming, training and funding the Taliban in Afghanistan. In one classified "threat report", Gul is said to have ordered the planting of magnetic mines, to be hidden in snow on roads, where they would attach themselves to passing military vehicles and could then be remotely detonated to wreak havoc in Afghan cities. "Gul's final comment to the three individuals was 'make the snow warm in Kabul' basically telling them to set Kabul aflame," the report said. Another accuses him of meeting with Arab fighters in Pakistan's tribal area to plan a series of suicide bombings in Afghanistan. Gul is also named in a report that outlines plans to kidnap UN workers to use as a bargaining chip for Pakistanis imprisoned by the US in Afghanistan for involvement in the conflict. But the former spy chief insists he is being used as a "convenient whipping-boy" for the failings of the US-led mission in Afghanistan, and points out there is no hard evidence against him. "They took my case to have me declared an international terrorist to the UN sanctions committee and it was vetoed, or placed technical hold on, by the Chinese because they could not produce any evidence," he said. The leaked documents are not the first time that Gul has been linked to the Afghan conflict. Earlier reports have said he is contact with senior insurgent leaders, including feared commanders Baitullah Mehsud and Jiluddin Haqqani. Gul denies having met the men and describes himself as an "ardent friend of Afghanistan," although he is known for his vocal opposition to the US-led military presence in the country. "I consider American and Nato forces as aggressors- in pursuit of a vicious agenda for the region, especially Pakistan and believe that the Afghan national resistance is fully justified," he said in 2008. He insists this opposition is "strictly a moral and academic position" and says he had "never provided any material or financial support to the resistance." But Haroun Mir, the deputy director of Afghanistan's Centre for Research and Policy Studies said he thought Gul was indeed linked to senior Taliban figures. "He is still very active in this insurgency in Afghanistan," he said on Monday. "He has been seen in meetings with top Taliban leaders." Reports naming Gul are among hundreds included in the leaked documents that implicate the ISI in supporting the Taliban. Some of the documents contain allegations of elaborate and implausible plots. One warned that the ISI and local groupss were planning to spike alcoholic drinks and "use them for poisoning" international troops in Afghanistan; another that the ISI were offering bounties on the heads of Indian workers in Afghanistan. Some analysts have cast doubt on the veracity of many of the claims made in the intelligence reports, pointing out that few of the alleged plots ever showed any signs of getting off the ground. "Just about everything which I have been through on this category is rubbish," Michael Semple, a former deputy head of the EU mission in Afghanistan, said. "Not just rumour, but complete fabrication. This applies to the tales of the adventures of Hamid Gul. 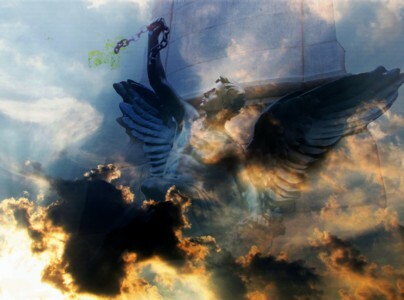 He is a man with a reputation and he is a propagandist, so fabricators tell multiple tales about him." US officials believe that the intelligence agency of ally Pakistan, which receives billions of dollars in aid from Washington, has been secretly supporting the Taliban in Afghanistan, leaked records say. Wikileaks, the online whistleblower organisation, published more than 90,000 secret US military documentson Sunday, revealing an unedited account of the nearly nine-year-old war in Afghanistan. The unverified files say that Pakistan's Inter-Services Intelligence (ISI) agency, the country's spy service, has been holding strategy sessions with Taliban leaders to aid their efforts in Afghanistan. An ISI spokesman denied the allegations, saying they were "far-fetched and unsubstantiated," but said the agency would be examining the files. Wikileaks' documents, which cover a period from January 2004 to December 2009, include descriptions of a covert US special operations unit formed to target high-level al-Qaeda and Taliban figures. They say more than 2,000 leaders are on a "kill or capture" list, but missions to hunt them down have led to unreported civilian deaths. Julian Assange, the founder of Wikileaks, said he expected the leaked records would "shape a [new] understanding of the past six years". "The real story of this material is that it's war, it's one damn thing after another," Assange said at a news conference in London on Monday. "It is the continuous small events, the continuous death of children, insurgents, allied forces, the maimed people." The New York Timesin the United States, Britain's Guardiannewspaper and the German weekly Der Spiegelwere all given about a month's advanced access to the dosier, with each jointly unveiling their findings on Sunday. According to the Times report, the documents suggest Pakistan "allows representatives of its spy service to meet directly with the Talibanin secret strategy sessions to organise networks of militant groups that fight against American soldiers in Afghanistan, and even hatch plots to assassinate Afghan leaders". Husain Haqqani, Pakistan's ambassador to the US, called the release of the files "irresponsible" and said it consisted of "unprocessed" reports from the field. "The documents circulated by WikiLeaks do not reflect the current on-ground realities," Haqqani said in a statement. "The United States, Afghanistan and Pakistan are strategic partners and are jointly endeavouring to defeat al-Qaeda and its Taliban allies militarily and politically," he said. The US government also condemned the records' disclosure, saying they could threaten national security and endanger the lives of its forces. "The United States strongly condemns the disclosure of classified information by individuals and organisations which could put the lives of Americans and our partners at risk," James Jones, the US national security adviser, said. "These irresponsible leaks will not impact our ongoing commitment to deepen our partnerships with Afghanistan and Pakistan; to defeat our common enemies." According to the records, the US has tried to cover up the fact that the Taliban have heat-seeking surface-to-air "stinger" missiles. The documents also show that the Taliban's widening use of roadside bombs have killed more than 2,000 civilians. 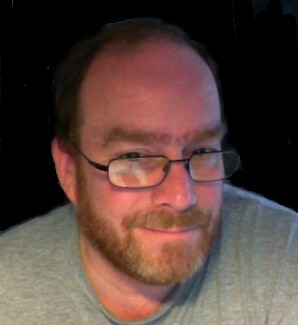 Eric Schmitt, one of the New York Times reporters who worked on analysing the files over the last month, told Al Jazeera that the documents gave an unvarnished view of the war, a "very fine grain, down on the ground level detail that hasn't been revealed before ... whether it's in firefights or drone activities, secret operations performed by commandos of the CIA". He said they painted "a much grimmer picture and portrayal than either the Bush or Obama administrations have allowed so far". Included in the many revelations of the leaked documents were also reports that the CIA expanded paramilitary operations in Afghanistan and ran the Afghan spy agency from 2001-2008. Pakistan's ISI had helped establish the Taliban's government in the 1990s, when Afghanistan was wracked by infighting following the withdrawal of Soviet troops. The country's leadership reversed course after the September 11, 2001 attacks on the US, agreeing to assist the US against the Taliban, which the US accused of sheltering Osama bin Laden, the al-Qaeda leader. But US officials and analysts have persistently questioned whether all of Pakistan's security apparatus is on the same page, with some believing that Islamabad's main interest is to ensure continued influence in Afghanistan. Wikileaks has become one of the biggest and most controversial sources of classified government information, even publishing a document showing that US intelligence had plans to shut it down. In April, Wikileaks released video footage from a helicopter cockpit showing a deadly 2007 aerial strike in the Iraqi capital that killed 12 civilians, including two journalists from the Reuters news agency. Army Specialist Bradley Manning, 22, was charged this month with misconduct and putting national security at risk for allegedly leaking the classified video, and has now been implicated in the release of the Afghan documents as well. Sunday's released records consist largely of classified reports and assessments from junior officers in the field that analysts use to advise policymakers. 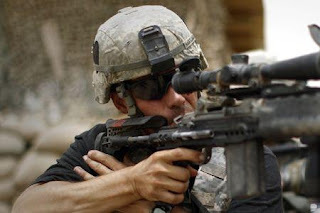 The leak is expected to put further pressure on Barack Obama, the US president, to get results in Afghanistan as he send thousands of additional troops to bolster forces already in the country. African Union to replace West with China‎?